This expansive villa has rural views and provides every comfort and space for up to twelve guests. 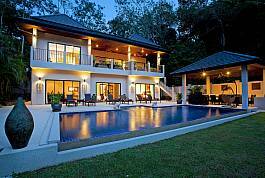 The villa is just 1 km to the tranquil Nai Harn beach on the peaceful south side of lovely Phuket. 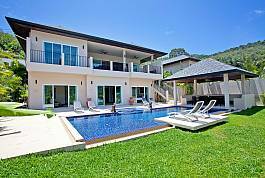 Situated at Nai Harn Beach in Phuket, we have this sumptuous 6 bedroom villa named Ampai Villa. 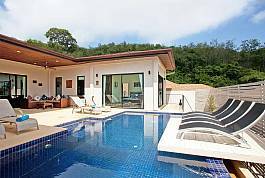 Positioned just over 1km to the beach and a similar distance to Nai Harn Village, if you are seeking a villa that merges natural beauty, luxury and location, then look no further. 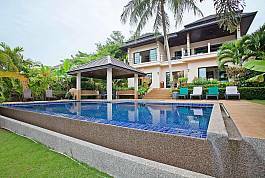 Situated approximately 1km from Nai Harn Beach, Villa Yok Kiao is located on the sunset west coast of Phuket where everything is perfect and the end of the world meets the sea. 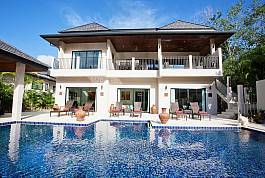 There aren’t many better places to spend a Thailand holiday, especially within the 6 bedroom comfort of Villa Yok Kiao. There’s nothing like a tropical getaway and when you have the chance to go on one, you want to do it right. The place you stay is just as important as the places you go. At the Villa Pagarang, you can rest assured that you’ve made the right decision in both of those areas. 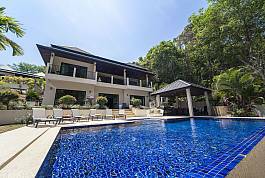 With amazing panoramic views of the beautiful mountain surroundings and an absolute paragon of luxury, the Villa Morakot makes for one of the most well regarded holiday homes in the region. The Villa Weaw Opal has all the charm of its gemstone’s namesake. The place positively glistens with bright shimmering colors. There is a real vibrancy to the atmosphere, as well as a sense of serenity, that makes this villa the perfect place to stay for any type of holiday. Villa Ploi Attitaya has a real homely atmosphere about the place, whilst also being exotic. You’ll feel at ease as soon as you arrive, all the comforts to make your island holiday as pleasurable as possible are here, and the fun beachside attractions are all close by.